Just over a year ago, a manager at a Calgary oil company said to me, “You can do a lot to people these days.” When answering a question about how employees might respond to cuts to their benefits, another manager said, “What are they going to do, quit?” This all sounds horrible, but it’s the way it’s always been during an oil bust. Calgary, built on the boom and bust cycle of the Canadian oil industry, hopes to be the new home of Amazon’s HQ2. There’s a price correction in the oil industry about every ten years, and each time, the response from Calgary oil companies is the same. They freeze or cut salaries, they reduce benefits, they lay-off thousands, they restructure to reduce more costs, and they swear that they’ve finally figured out how to run a sustainable business. Of course, as prices inevitably creep up, they raise salaries, increase benefits, attract and hire thousands, and restructure to produce lots of oil as fast as possible. In the early 1980’s, there was an even bigger oil bust in Calgary, but the city has changed since then. Calgary’s population has more than doubled since 1983, and if you include the growing bedroom communities, it’s almost tripled to well over 1.5 million. There aren’t enough big-oil jobs for all those people, even in the “good times,” and that has been a good thing for some laid-off Calgarians. This time, when the bottom fell out of oil, Calgary’s unemployment rate doubled instead of tripling like it did in the 80’s. Doubling is bad, really bad, but the lower the unemployment rate, the better the chances are of finding a new job in a different industry. Amazon just announced the construction of a 750-job distribution center on the outskirts of Calgary. Calgary has been courting Amazon for its HQ2. 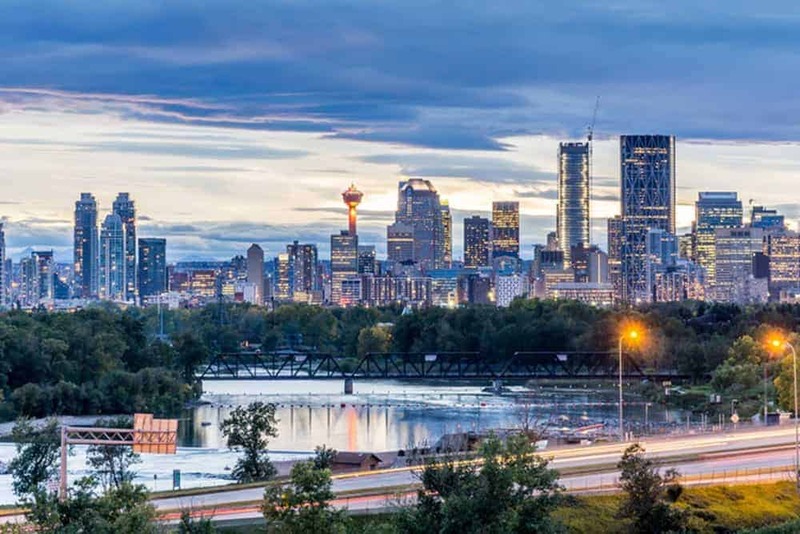 Calgary’s highly educated workforce, entrepreneurial spirit, glut of vacant office space, vibrant arts scene, cultural diversity, and proximity to the Rocky Mountains, is being marketed to Silicon Valley. If luring tech is successful, the result won’t just be more jobs for Calgarians, but new industries will change what it’s like to work for an oil company. How will oil companies in Calgary change? It all comes back to, “You can do a lot to people these days.” Oil companies will need to be more restrained in the good times, so they can be less drastic in the bad. If the cuts and claw-backs go too deep during the bad times, the best talent may leave and never come back. But restraint isn’t something that the oil industry is known for. So if Calgary oil companies have never been able to manage their spending well enough in the good times to avoid drastic cuts in bad times, why would they start now? Simple: many oil company workers in Calgary are so fed up with the cycle of reckless spending followed by deep cuts that they’d quit their jobs tomorrow for any reasonably competitive offer. Calgary oil companies cannot afford the costs associated with a mass exodus of their best talent right now. what world of work will future Calgarians inherit? Eighty-dollar oil would get many Calgarians back to work at oil companies, again. Oil is still the best paying gig in town. So many lives have been devastated in this recent downturn and people need to get back to work and on with their lives. But what $80 oil won’t change is the manic-depressive cycle of work. Is that the experience of work we want for future generations? It’s tough today, but the best tomorrow is not yesterday.